Topping the list sold over 100 units for $1,633 psf on the average. Private home sales in October surprised the market with over 60% growth month-on-month on two new launches - Principal Garden and Thomson Impression. Developers launched the two new projects which are both in the city fringe (by proxy of RCR) in the month of October after two consecutive months of no new private housing launches. Unfortunately, the story does not end there. 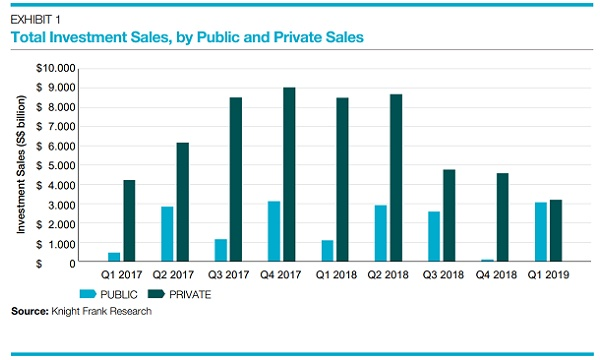 When compared with last year's performance, private home sales disappoint with 30% growth decline. Developers sold 546 units in October 2015, bringing 10M15 sales to 6,383 units. This increase in sales is after two successive months of falling sales – 513 units in Aug and 341 units in September. Despite increase in monthly sales by 60%, Barclays note that this is the second lowest October monthly sales figure after Oct 2008 when 118 units were sold. Compiled by Barclays, here are the projects which helped lift private home sales last month. The high-end Leedon Residence was the top seller in the CCR for the fifth consecutive month with seven units at a median price of S$1,983psf compared to five units sold at a median price of S$1,796psf in Sep (S$2,070psf for the 14 units in August and the S$1,878psf for the 14 units sold in July). This brings total sales to 208 (55% of total 381 units). Kingsford Waterbay sold 7 units last month bringing its total units sold to 314. It's 27% of it's 1,165 total units. Kingsford Hillview Park is now almost half-sold with 7 units sold last month alone for $1,284 psf. 46% of its 512 units are sold as at October. City Gate is almost sold out now with only 4% of its 311 units left unsold. 7 units were snapped up in October for a median price of $1,946 psf. Waterfront at Water Faber sold 8 units for a median price of $1,184psf. It brings total sales to 160 as it is now 76% sold. North Park Residences sold 8 units for $1,295 units on average. 66% of its 920 total units are sold-to-date. 10 units of The Skywoods were sold in October at a median price of $1,258 psf. 80% of its total 420 units are sold-to-date. Lakeville is inching closer to the 80% sold mark. It has sold 536 of 696 units. The selling prices was holding up with Lakeville at median S$1,276psf (vs.S$1,252psf in Sep). Symphony Suites managed to sell 23 units last month at $1023 psf median price. 179 out of 660 units are sold-to-date. Botanique at Bartley sold 24 units in October at a median price of 1,304 psf. It's currently 70% sold. High Park Residences, which was the top seller in September, August and July, sold 33 units at a median price S$922psf as it is now 92% sold (total 1390 units). Old project Panorama is now inching closer to the 80% sold mark. The Panorama has sold 543 of 698 units as of 31 Oct. Selling price for the property was holding up with The Panorama at median S1,226psf (vs. S$1,206psf in Sep). The property has sold 46 units in October at a median price of $1285psf. But the project launched early this year remain slow to sell with only 345 out of 1024 units sold-to-date. With a total of 288 units, sold 80 of the 150 units launched at a median price of $1,399 psf. It is located at Lorong Puntong, off Upper Thomson Road in a popular suburban residential area. Thomson Three, which is located in the neighbourhood of Thomson Impressions, was launched in Sep 2013 at a median price of S$1,363psf, and only 8 units remain unsold today out of the total 445 units. The property at Prince Charles Crescent found buyers for 113 units at a median price of $1,633 psf (17% sold). The development is at the fringe of the prime Jervois Road/ Bishopsgate residential area and near to Orchard Road and the city. 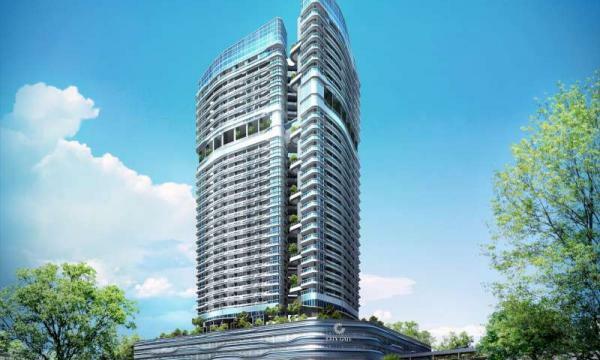 The Crest, which was located nearby and was launched at cS$1,700psf in June 2014, is only 20% sold (out of total 469 units) so far, reflecting local oversupply.